Elsie Gray Marsh (1887-1966), was the first librarian of the Mansfield Public Library and also a reference librarian at the Connecticut Agricultural College Library. Her life-long friendship with Abbie Jean Quick has led to an endowment to support the new Leisure Reading Collection in Babbidge Library. The University Libraries recently received a $50,000 bequest from Abbie Jean Quick (1910- 2000) of West Hartford in memory of her friend Elsie Gray Marsh (1887-1966). These funds have been placed in an endowment with the UConn Foundation to support the newly established leisure reading collection in the Homer Babbidge Library, which will be called the Abbie Jean Quick Leisure Reading Collection. Miss Quick was born in Hartford and was graduated from the Connecticut Agricultural College in Storrs in 1932. At the time of her retirement in 1975, she was Personnel Director and Consultant with the Atlanta-based manage- ment-consulting firm of Kurt Salmon Associates, Inc., after 31 years with that company. While a student at the Connecticut Agricultural College, she met Elsie Gray Marsh, a reference librarian in the college library, beginning a life-long friendship that eventually led to her generous bequest to the library. 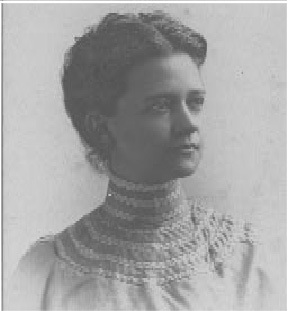 Miss Marsh was born in Mansfield, the daughter of Dr. Elliot H. Marsh and Eunice Anthony Marsh. She graduated from Windham High School in 1904 and took courses at the Columbia University School of Library Service but never earned a library degree. When the Mansfield Library was organized in Mansfield Center in 1907, Elsie became the unofficial, unpaid librarian. In 1909, at age 22, she was appointed librarian officially when the library was set up in the upper floor of the old brick school in Mansfield Center. She served in that capacity until she was forced to give up her duties for health reasons after 50 years of service. In 1928, she was also appointed as reference librarian at the Connecticut Agricultural College Library, where she worked with her close friend, Head Librarian Edwina Whitney. She continued to work at the college library until 1949 when her eyesight had failed to the extent that she could no longer drive. She was then appointed Reference Librarian, Emeritus. Miss Marsh was an avid reader from her earliest years and in her duties at both the Mansfield Library and the College Library she promoted reading actively. It is especially fitting, therefore, that the income from Miss Quick’s bequest will be used to support a popular reading collection.